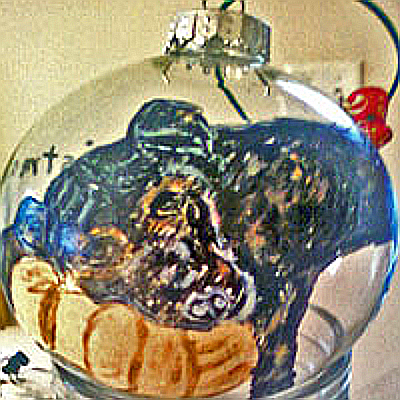 Our hand painted Rottweiler pet ornament displays this robust and powerful dog who is happiest when given a job to perform. 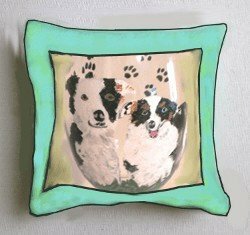 This Rottwiler dog ornament makes a great dog lover gift. As an inherent protector, we try to capture the Rottweiler's self-confident who responds quietly and with a wait-and-see attitude to influences in his environment. Hand painted in their colors of mostly black with light tan paws, occasionally some will come in a brindle effect. 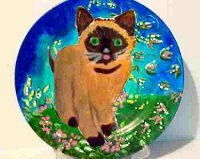 Our hand painted pet lover gifts are different from other ornaments in that we hand paint the exact details of your beloved pet.